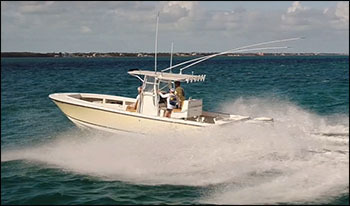 The Hindsight is a custom built 42' Duffy Sportfisherman. 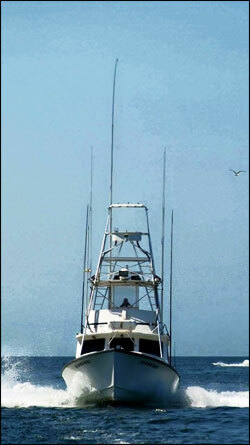 Built in 2002, The Hindsight is outfitted with the best gear, tackle, electronics, and safety equipment available today. Built to fish in comfort, equally at home on Cape Cod Bay, or far offshore, trolling the NE Canyons, the Hindsight is the premier fishing platform working the waters of Cape Cod and beyond. Powered by a 585 h.p. Caterpillar diesel, the Hindsight cruises at 18 knots, with a top end of 21 knots. Equipped with a 9 kw Onan generator, there is more than enough power to run the full size stove, microwave, refrigerator, and satellite TV on those overnight Canyon trips! 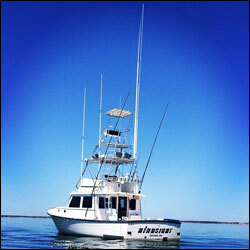 Hindsight Sportfishing is proud to announce the addition of the 32' SeaVee "20/20" to the fleet. Click here for all the details.